Brian Matalik & Matt Locy from RUSTY HAYWHACKERS will be back on stage for us at MoonShadow. These guys are incredible musicians from Washington, PA. Expect to hear a mix of classic rock songs and originals! 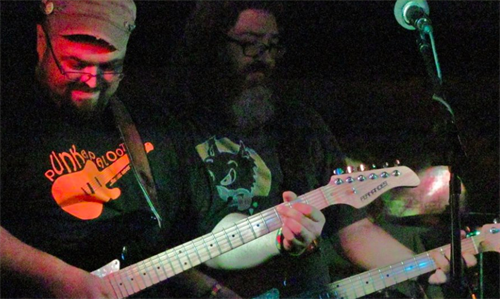 The Rusty Haywhackers are a good time, rockin americana, jam band from Washington, PA. The Rusty Haywhackers do not disappoint with high energy shows that get everyone up and dancing. As life-long jam band fans themselves, The Haywhackers know what their fans want and give it to them with a blend of tasty originals and uniquely arranged and diverse selection of covers from bands like The Grateful Dead, Janis Joplin, The Recipe, Bob Dylan, Merle Haggard, The String Cheese Incident, The Who, Doobie Brothers and John Prine...just to name a few.